My awesome co-hosts today are Tamara Narayan, Patsy Collins, M.J. Fifield, and Nicohle Christopherson! March Question - Have you ever pulled out a really old story and reworked it? Did it work out? That one’s easy – yes! I wrote a story as a young teen and it sat in a drawer for thirty years. When I found it again, I decided the characters and concept had merit so I completely rewrote it. Did it work out? That story became my first published novel, CassaStar, and went on to become an Amazon best seller in science fiction, selling tens of thousands of copies. So yeah, it worked out! Which is why I tell everyone not to give up on those old manuscripts. The IWSG is proud to present the Insecure Writer’s Support Group Twitter Pitch Party! All writers and authors are invited to participate in our very first Twitter Pitch. Create a Twitter-length pitch for your completed and polished manuscript and leave room for genre, age, and the hashtag. On July 27, Tweet your pitch. If your pitch receives a favorite/heart from a publisher/agent check their submission guidelines and send your requested query. Many writers have seen their books published from a Twitter pitch - it’s a quick and easy way to put your manuscript in front of publishers and agents. We invite all of you to join us that day! 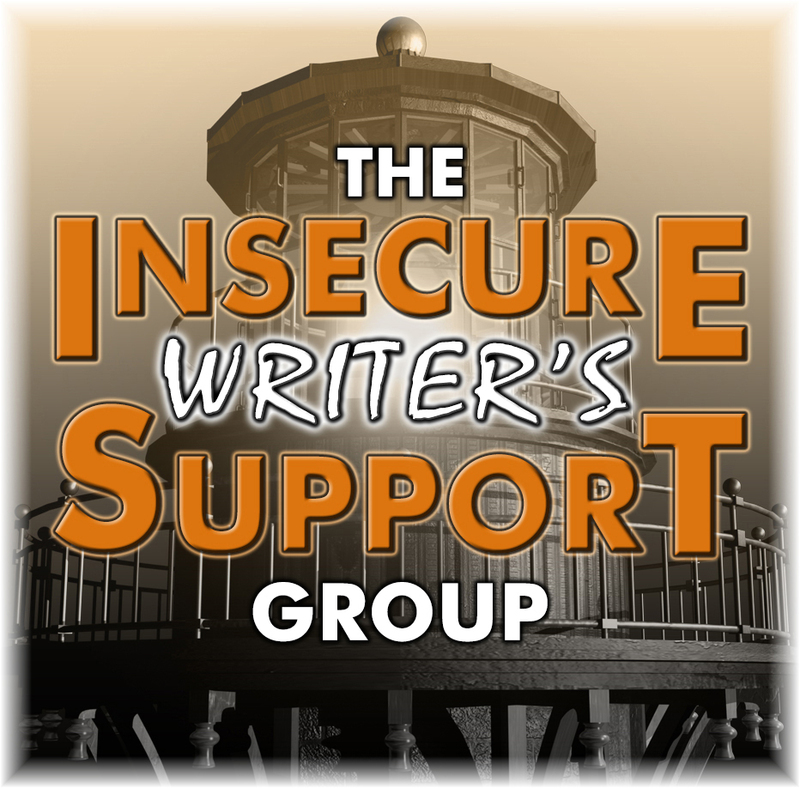 Authors with a publisher or agent, please ask if they would like to participate or pass along their contact information to the IWSG. We intend for this to be a twice yearly event, July and January, giving our members a great opportunity for publication. Help us spread the word! 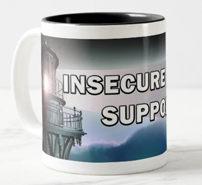 Check out the IWSG Swag page for some cool new stuff, including mugs and erasers. The tiny profit we make from sales of IWSG swag goes to fund opportunities to make the IWSG better for everyone and extend our reach. We recently created our own business cards and have another amazing option that will provide benefits to our members as well. Last but not least, we need co-hosts for April, May, and June. Co-hosting means a lot more visitors to your site that day and is even more fun that just posting. Please leave a comment if you can help. 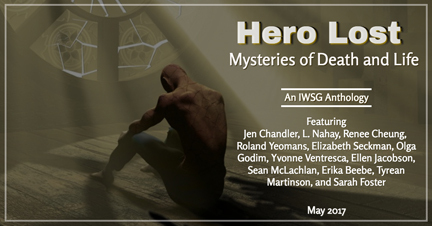 Please support the next IWSG anthology, Hero Lost: Mysteries of Death and Life, by signing up for the Thunderclap campaign. The anthology authors are working hard to market the book. They’ve also set up a Hero Lost website, covering everything from the theme and genre to the stories and authors. LX Cain is giving away two audio books of her novel, Bloodwalker. See her site for details. Here are the upcoming theatrical releases for March! As always, descriptions courtesy of the IMDB. Snark provided by me. A man goes to meet God at The Shack only to discover it’s Shaquille O'Neal. No snark, just excitement. Giant, furry ape excitement! An adaptation of the Disney fairy tale about a monstrous-looking prince and a young woman who fall in love. The touching true story of Donald and Melania Trump. Looks like a great science fiction film with a solid cast. I guess you could say I am pro-Life. Two hours of Johansson running around in skin tight outfit? Plot optional! What are your insecurities today? Have you ever reworked an old manuscript? Joining us for our first Twitter pitch? Picking up some new swag? Picking up some new books? And what movies catch your attention this month? Next Monday – MST3K returns!! I get to be first? Wonders will never cease. Congratulations from a greedy reader to all writers. Your perserverance, diligence and sheer hard work make my world a better, brighter, richer place. And good luck with the Twitter party. Yet another social media this dinosaur avoids. Wow, that's awesome how you were not only able to breathe new life into an old story, but find so much success with it, too. Congrats! That's awesome that CassaStar came out of your teenage writing. I wish I would have been more diligent back then and started writing some of those ideas I had. I still need to get some of that IWSG swag. Nice to see more items available. The pitch party sounds interesting...one of these days I'll get on Twitter. I reworked last year's entry for the anthology? Not "really old" but giving something another chance. Loved the post Alex, hey! you're early today. Will post my ISWG LATER. Interesting news and reviews and thanks to you all who are behind the scenes if the ISWG. Goes to prove that no writing is wasted writing! Thanks for sharing this news as it is particularly relevant to my 'insecurity' this month! The Twitter party seems like a great idea too, is it likely to be relevant to UK writers as well do you think? Great little story about CassaStars' humble beginnings! I do like the sound of Life, looks a good cast too??? And who doesn't love Wolverine? What an amazing success story. And, I signed up for the Thunder Clap. Can't wait for the anthology to go live. I don't tweet, so won't be attending the twitterfest thingy. FB and Blogger take up too much time as it is. I do agree that old stuff that seems like fodder can be made new again. I haven't really had that experience, but I never like to "throw out" anything. You never know what you could recycle. Even a character can be saved from an old bad story! I guess it's never too late to finish a story! I love the Twitter pitch! Although I suspect I won't have anything polished enough by then. I'll have to check it out, though! Love your 'Drawer to Bestseller' story, Alex! I'd be happy to help with co-hosting in May or June. Let me know. And Wowsers on the Twitter Pitch. What a great idea! You did very well with your Cassa Star Alex. One can never know. Keep it aside instead of crumpling it all up in frustration. 30 years on and that's it - a best-seller. A lesson in tenacity for us all. The Twitter pitch is an interesting phenomenon, a great opportunity for everyone.A cohesive joint effort it'll become eventually. Your Swag goodies is an interesting line-up of offerings too. Great! Glad you decided to give your story another shot, Alex. Congratulations to all those with new releases. Some intriguing stories there. Wondering about Logan. I had heard recently that Patrick Stewart said he wasn't going to play Professor X anymore. The trailer for Life looked intense. Good thing you never gave up on Cassia Star! 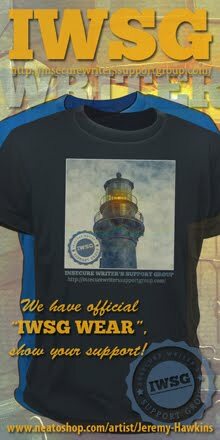 Happy over the new IWSG swag and by the books listed, we writers are always up to something! It might take time but old manuscripts can work, and yours worked to perfection!! I definitely supported the Thunderclap. I love your witty movie critiques! I think your old story post is the ultimate success story, so to speak. None of those movie titles really intrigue me. Personally, it seems that for the past...several...years, most of the movies that have come out have be either really left of left or right of right in terms of content/topic, so they really don't move me to go out and drop my hard earned dollars. I'm sure I'll probably see them if/when they hit the movie channels. I am currently reworking an old draft, but my old is only a few years, nothing compared to yours. As for the rest, I am looking forward to Beauty and the Beast. Elephant's Child, you are first! And we love greedy readers. Suzanne, of course! All writers everywhere are invited to join. Ray, I'm hoping I do this Friday. Donna, I imagine they do. Sarah, still plenty of time. Ellen, we want it to sell gangbusters. Mason, neither he nor Jackman will be back in their roles. GB, I avoid the really left ones. CassaStar? Awesome. I love to see that kind of thing happen. I just recently heard a trailer about the Shack. That should be interesting. I'm really looking forward to Beauty & the Beast. Your recap of Beauty and the Beast-hahaha:) How exciting to pull together a Twitter pitch party. I know those are a lot of work. And congrats on not giving up on your old ms! Awesome how your book was something you started so long ago and picked up again. And the twitter pitch party sounds like a great opportunity for some writers. Sounds like CassaStar had to wait even longer than my own series! Just supported the Thunderclap. Good luck with it! Signed up for the thunderclap, and if your success story doesn't inspire nothing will! Congratulations! See, sometimes it pays to keep the past. Goes to show that one needs to keep at it indeed. Logan will hopefully be good, can't be much worse than the first one at least. I would say you are the most shining example of why giving an old manuscript a brush-up might be a good idea. Hopefully after today's posting, we'll see more success stories from authors doing just that! A Twitter pitch day? Very interesting. I'll have to give it some thought. Signed up for the Thunderclap! The Twitter Pitch is going to be fun. I can't wait to see Skull Island. And Logan of course because I love Hugh Jackman. You definitely have the best "old story" story. So inspiring! Amazing how much you guys have going on with the IWSG. Thanks for all that all of you do. *high five* Here's to the revived old works club. We rock. One of my critique partners makes me laugh. She has written close to 30 books, and she swears only two of those will ever see the light of day. I think that would kill me, but we all have a different process, eh? Some people write by quantity to develop. Some rework the same thing until they figure things out. I read the book The Shack and it wasn't nearly as astonishing as the cover led me to believe. Probably won't go see the movie. And I really think they should let wolverine rest in peace or at least give him a HEA. Poor Wolverine. He had so much potential. Why can't we find good scrip-writers anymore? I'm setting my sights on GoTG Vol.2 and I'm saving my pennies!!! Did you see the new trailer? AWESOME! Glad you didn't give up on Byron! Thirty years, eh? Hmm, maybe my half-formed plot to resurrect the fantasy novel I wrote during university isn't so crazy. I've resigned myself to the fact that it's going to be amateurishly written, but I still love the world and the characters, and I think I know just the right tone for it. "tens of thousands of copies." I can only imagine...wow, Alex, that is success, indeed. I'm not insecure this month - just excited. Now THAT'S a success story! 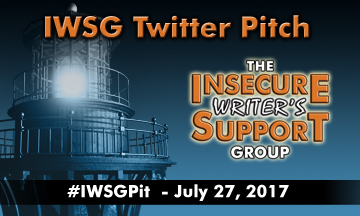 Also I love that IWSG is hosting Pitch Party! Hmm...now to get something ready before then! My insecurity revolves around a memoir I'll be co-writing this year. New territory for me, but an exciting challenge as well. My first novel is only 6 years old in drawer years . . . maybe I should let it age a bit longer! How awesome that you took a 30-yr-old story, rewrote it, and it became a bestseller! Every author's dream! It's true that many author have been discovered by doing Twitter pitches. Yay for WSG for doing its own Pitch Party! Congrats to Susan, JH, Megan, LG, and Juliana on their new releases! I can't believe they made another remake of King Kong and Beauty and the Beast. At least the rest of the movies sound good. Congrats to the Lost Hero authors! I'm excited to see how that goes! And I will definitely help share the Twitter Pitch session, too. Love that story about CassaStar! Thirty years? Impressive! Did the technology change much from the original? I tried to rework an old manuscript--a Time Travel Romance--and failed miserably. You wouldn't think references to technology would make much difference in a Time Travel storyline, would you? I decided it would be easier to start a new manuscript instead and gave up after the second chapter. The Shack is not a book that I'd recommend due to it's weird views on God and Christianity. I wouldn't recommend that anyone pay to see this film in the theater. I might get the DVD on Netflix--maybe out of curiosity--but still I don't know if it's worth my time. I already wasted time reading the book. Yes, don't give up on those old manuscripts! I also have reworked articles, long ago submitted but rejected (or never sent out). Even with our once thought "lousy" stuff, there's great potential. Your success with the "old" rewritten story is inspiring. Okay, gonna drag out an oldie story and re-work it. And I'd be happy with selling 1000's of copies too.!!! Congrats! I read the Shack and loved it. What a different take on Christian faith. I don't think I'd like the movie. Books into movies usually disappoint me. Reworking old manuscripts has worked for me too - I never throw anything away, it's all in a filing cabinet for those days I fancy browsing through. Congrats to all the new releases this week! Twitter Pitch sounds fun. I don't have anything polished and ready, but maybe next time. I'm signed up for the Thunderclap (I tried to sign up again but they wouldn't let me, LOL). And now I want to go buy some swag. Have a great week, Alex! Pat, or the second one. Crystal, it would take me a hundred years to write that many stories. Marcy, this is officially the last one. Heather! Yes, watched it this morning. Totally awesome. Karen, it blows my mind. Valerie, just a few technology things changed. Lee, haven't read it so no idea. That's so cool about CassaStar. I found a half finished novel I'd written in my teens. Laughed hysterically all the way through it (it wasn't a comedy) and shoved it back in the drawer. So the Twitter Pitch is open to people who aren't officially members of the IWSP, yes? Twitter pitch party sounds great! I've marked my calendar just in case I have something to pitch. Signed up for the Thunderclap, congrats to everyone who has a story in the anthology. That CassaStar became your first published book is very encouraging for me. Thanks for sharing this tidbit because I needed to hear it. Hi Alex, you are so lucky that you could turn your old manuscript into a bestseller. I wish I could do that :( but my older stories are pathetic. I am scared of even revisiting them. I am excited for the IWSG Twitter Pitch Party. Its one day after my birthday. Woot woot! That's awesome that CassaStar was one you pulled out of a drawer and brushed off. I don't have anything I want to pitch, but maybe I'll see if my friends are on board. I guess this means I have to learn how to Twitter. Sounds like a wonderful opportunity. I recognize several names in the new releases which is good. I need some new things to read. My daughters want to see the new Beauty and the Beast. I'm still holding out for It and The Gunslinger. If you need another co-host, I can do any of those months. Loved the Trump comment and that movie is on my list to see, along with Kong and Logan. Pitch party sounds interesting. I am hearing more and more about those trending. Congrats to all the author releases too. Yup I rework old stories or ideas all the time. I remember writing a couple of chapters on a story back in high school. It was a complete ripoff of Star Trek, but it was fun. I think it was thrown away when I went to college. Too bad, I'd sure like to go back see how bad it was. 30 years? Crikey, that's nearly twice as long as I've been writing! "That story became my first published novel, CassaStar, and went on to become an Amazon best seller in science fiction, selling tens of thousands of copies." Bravo to you, Alex! And that's why you are our fearless leader here at Insecure Writers. I can't wait until I complete a full-length novel to be able to pitch on twitter or anywhere. Thank you for all these opportunities made possible through IWSG. All best to you, sir. Thanks for the book shout out. I think you were extra snarky in your movie comments this month. Agree about Logan. Can someone please make a Wolverine movie that is good. Life sounds interesting. Better than the other option. My daughter wants to see Beauty and the Beast so I'll probably go with her. That plot optional comment made me giggle. That rework definitely worked out in your favor, Alex! Alex, thanks for all you do for us insecure writers. You, sir, rock! My "first novel" is actually currently in development. See, the difference between CassaStar and my old stuff is that your old stuff was actually good. Mine is locked up tight somewhere in a drawer (probably should just burn it), and it doesn't see the light of day because it's cringeworthy (hey, we all had to start somewhere, right?). LD, it's open to all writers! Rachna, hopefully she thinks I am, but I imagine she would still laugh. Victoria, hopefully you can pitch it in July. Susan, you're welcome. I worked extra hard on the snark. The last Wolverine movie was just God-awful - we deserve better. Misha, I'm just speaking the truth as a guy. I think I must have tossed all my teen writing. Sorry I did because it would have been fun reading it again. Wow, Alex. I knew you'd been an Amazon best seller but had no idea you'd sold that many. You and Steven King. I think Under The Dome gathered dust for over 20 years before he pulled it out and took another look. The twitter pitch thing sounds like a good idea. Now, if I can only remember. I hope to see Beauty and the Beast in theatres (but not sure if I'll get to). As for old manuscripts, my oldest was published second, so I guess in a way I did rework it for publication, even though it wasn't that old (5 years). I started one manuscript several years ago. I was sharing it chapter by chapter with a few ladies I trusted. They were loving it! But I stopped before finishing and deleted it everywhere. Will I ever try again? Maybe. I have lots of folks that tell me here and there and from time to time that they feel I have a book in me. But for now, I don't want to dedicate the time it would need to develop. As to movies, I might would like that new Beauty and the Beast, but I doubt I would watch any of the others. What I REALLY want to see is Hidden Figures, about the women mathematicians that worked behind the scenes at NASA. Sad you won't be in the Challenge this year, but glad the IWSG is going well! I have to start looking through old stories in my flip-file. One never knows. Congrats on all the exciting things happening for IWSG. You guys are awesome. I've written three novels and all have been reworked a few times, but I haven't been able to drum up any interest in them. That book became CassaStar? Awesome! What a wonderful story about your first novel. And look at you now. The Twitter Pitch sounds like fun. Better polish my work and have something ready. Wow, when you pull an old manuscript out of mothballs and breathe new life into it, you don't mess around, do ya? That's quite a success story, and it should give other writers the encouragement they need to pull some of their old work out for a second look. that Twitter pitch sounds like a lot of fun, but there's no WAY my WIP will be polished enough to consider doing something like that this year. I hope lots of other writers find happy ending by participating in it, though. Hi, Alex! Your story about the origins of the Cassa series is truly inspiring! Lucky for us that you dusted that old manuscript off! I can co-host in April, if you need still someone. I've never heard of a twitter pitch before. Lord knows where I'll be on July 27th ~ maybe Nova Scotia. I don't even have a twitter account ~ but what a marvelous opportunity for IWSG writers! Enjoy your busy IWSG Day! I let my local writers' group know about the Twitter pitch party. Some of our members are interested in traditional publication, and will probably want to take part. I did a lot of Twitter pitch parties in the past, mostly through Brenda Drake's PitchWars and PitchFest contests. I love monsters! God bless them, hey maybe thats what I've been missing all along Monsters in Space, LOL! You see I did write a cosmic story once but being a trekker the parameters of my storyline was founded on star trek logic when in fact... you see what i needed was Monsters!!!! not logic!!!! so my poor story got shelved. Curse the logic of it. Wheres a good angry Monster when you need one??? My insecurity today is my Spacerguy Google+ page apparently the robots.txt are angry at me. If only I knew real monsters. It must have been a good idea, you just needed the skills as a writer to get it out there :). The Shack. I burst out laughing at your joke. Lots of great movies coming out! I'm particularly looking forward to seeing Logan, which is released today! Yay! I'll sign up for the Thunderclap! Oh my gosh, I had no idea that you wrote it when you were a teen. That's fantastic! So glad you hung onto it and pulled it out again when you were older. What a great little tid bit I learned today! I have to go stalk IWSG site to check out the swag! And looking forward to supporting the next anthology campaign! I'm definitely joining for the Twitter pitch. Thanks for the Lost Hero shout-out today, Alex! Sandra, wish I'd sold as many books as King. Nancy, we'll send out a reminder in the newsletter. Raimey, I think I was a damn lucky writer. Barbara, Hidden Figures is a great movie. Sorry, just don't have that kind of time anymore. Susan, I go for it! I should give other writers hope period. Sorry you won't be ready for the Twitter Pitch, but it will be the first of many. Spacer Guy, bummer! Do we need to go all Ninja on Google? JE, I am here to amuse. Lynda, you get to see it early - of course! Elsie, you learned something new. You can go home now. Can you imagine if you'd left that manuscript collecting dust? So glad you gave it new life. The Twitter pitch sounds amazing! Life looks like an interesting film. I'll add that one to my list. So many books and movies coming out! The only one on my radar is Beauty and the Beast. And I totally forgot to say that I'm available for co-hosting in June if you're still in need :) Ugh...this brain fog! Oh, I love it that your CassaStar originated from an old story. There is hope for all of us here. CassaStar is a great book. So glad you gave it another go. The pitch party sounds pretty cool. I love your snark. I too am excited about the Kong movie. Not only is CassaStar a great success story, but it's the gift that keeps on giving. CassaStar led to your blog which led to the creation of the IWSG and more great books. So I'm very grateful for CassaStar! Good luck with the Twitter Pitch Party! Nicki, I can't imagine now. Jen, that would be cool. And thanks! Olga, I should give everyone hope. you brought experience and perspective to your ancient manuscript and it worked...onward into a series, etc. Congrats and that shows that hard work and skill pay off. Your movie comments are hysterical. I am psyched for Beauty and the Beast. Those old stories frequently have more potential than we realize. I'm glad you unearthed that old story! The Twitter pitch is an excellent idea! It's so exciting to watch the IWSG grow and grow the way it has. Thanks for mentioning my story! I. Late to this...busy day and then our power went out. I think, sometimes one has to start all over again and it comes out even better. Look at your book as proof. I am really looking forward to Beauty and the Beast...the sad thing is that Trump would consider himself Beauty:) the Kong movie also looks quite good. Beauty and the Beast is about the Trumps? LOL! I'm so impressed that what you wrote as a teen could become in your adult years a great novel! As for me--I'm afraid the best fate for a few of my old manuscripts is to never see the light of day. I can't tweet at all but I'll certainly give it a try this July. Thank you for the heads-up, Alex. What a great back story for CassaStar! I bet you're glad you kept that one! Excuse my delay in visiting, Alex. It's a good thing you knew to hold onto your story...for thirty years. My old writing didn't have any elements of a story. It's funny to look back at stuff I wrote long ago. Recent insecurities have more to do with life versus my writing, even though everything's related. But I'll push through. Hi Alex. I still think it's amazing how you wrote CassaStar from that boy's manuscript. Fantastic. And that Twitter Pitch sounds good, as do all those new releases by lovely bloggers! Have a great week! Joanne, Amen and too funny. I'll take your word for it. Birgit, that made me chuckle. Helena, hope you join us. Wow. Your book was a revamp? I'm awed :) So excited about the twitter pitch thing - IWSG is expanding at amazing speeds! I'm really looking forward to Beauty & the Beast, and I'm not usually a big fan of those things. I'm wondering if it's my age beginning to influence things. The twitter pitch is a great idea! Hope it moves many of our group members forward. I'll have to hurry and finish a book! You really brought the nark with the movie comments. Much impressed and still giggling. That's awesome that you reworked an idea after all those years. I have finally figured out how to approach a story idea I had in a science class in college - the class was Science and Science Fiction (for the liberal arts crowd). The story was mired with hopelessness and was real still with not much actually happening. I am much better at plot now than I was as a 20-year-old. LOL. I think I got nailed for the science not being 100% correct - the prof. didn't seemed too worried about story-telling. I have some stories I'd like to rework, but it's surprisingly difficult. Still working on a way to make it fresh for myself. I seem to think Beauty and the Beast was written a long time before Disney was born, the man or the company. I didn't realise Cassa Star had been THAT successful. Way to go Alex. Looks like some good movies coming up. I love that story about CassaStar. Very inspiring!!! It shows that stories can find life later, even if we can't make them work the first time around. 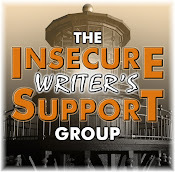 IWSG just keeps growing and growing, and is such a help. The Twitter Pitch campaign sounds amazing. I love that story of how you were able to revive an old manuscript and it turned into a bestselling novel! So inspiring! Wow, there are SO many good movies coming out! I'm excited for Beauty and the Beast, and I laughed out loud at your description about Trump. Lol. Great news on the twitter Pitch Party and awesome new swag! I tried to sign up for the thunderclap, but I'd already sighed-up and forgotten! Oopsies! I think it's great that resurrecting an old manuscript worked out so well for you. That's great that you were able to rework your project like that! I love it when that happens. I am doing something similar, although mine hasn't sat around that long... :-) it's definitely harder in some ways, but it's certainly encouraging to know that something you wrote long ago as a young writer had such merit. So CassaStar was a 30-year old plot? That long? Did you forget about it completely, or did it linger at the back of your mind from time to time...just wondering? This has to be the most perfect answer to this month's question, Alex! And something a lot of writers would dream of. OH, and my insecurities these days? They always have SOMETHING to do with my hair!!! Wow, after 30 years? Good for you Alex! I want to see Logan! Hi, Alex!! I am so so ready to see the movie "Life". I am a sci-fi buff. Also, as a random aside, are you a fan of British TV shows?? I think you saw what my insecurities are this month. >_< I think it's very cool that IWSG will run Twitter pitch stuff; I know that's worked out well for a lot of people and I do have a good quick pitch for my book. As for reworking an old manuscript, my third book was a rework of my first, and I still consider reworking that from the sub-villain's POV, so who knows, it might happen again. Elizabeth, I aim to amuse! Jo, it was. And thanks! Holly, I've signed up twice as well. Kelsie, I should give all writers hope. Keith, Monty Python was one of the greatest shows ever! Yes, I do watch a lot of British shows. Mason, glad I could amuse. Thank you so much, Alex! You are such a sweetheart. I love that you promote our books without us ever having to ask. It means a lot. The Twitter pitch is great news! Those are always fun. I definitely plan to participate. Haha, I'd say that rewrite worked out pretty fricking well my friend! Glad to hear that your rewrite came with an especially happy outcome. I like Emma Watson, my kids like Beauty and the Beast, so I'm pretty sure we'll all see that movie at some point. Cool coffee cup! I'm getting the movie binge bug again and lining up shows the fam doesn't want to see: Logan, The Great Wall and John Wick Chapter Two. Oh man, where do I begin? I can't wait for the Life movie. It reminds me of the old school Alien trailer. On top of that, I had no idea that LX had an audio book deal. I'm going to have to go check that out. Thanks. This is my confession for the day. I really dislike MST3k. I KNOW! I can't explain it either. Your movie commentaries. lol But also not watching anything with ScarJo in it for a while. Forgot to mention the Twitter Pitch Party. That's so exciting!!! Awesome! Love the book club idea!